The buds we hate to love. The Apple AirPods created a wave of truly wireless earbuds, but they never quite made our review list. Until today. They managed to snag a spot in our most recent wireless headphones roundup, and we'd like to go further into why we chose them over so many others. 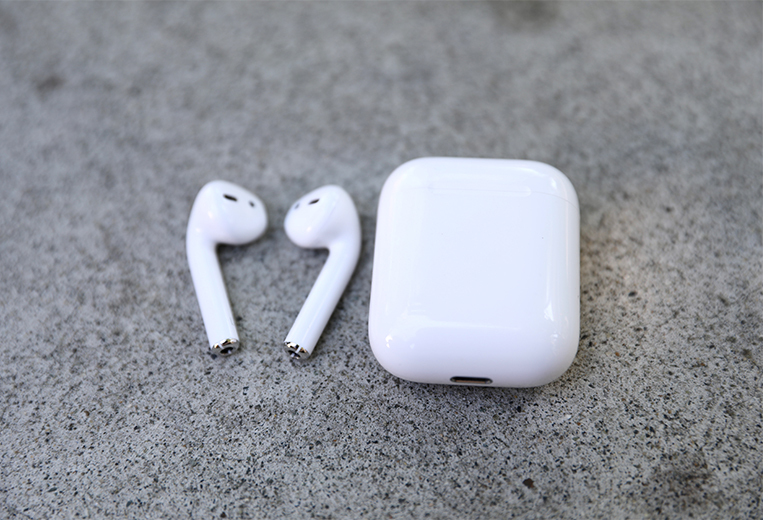 In this review, we'll explore the AirPods' sound, design, comfort and fit, packaging and accessories, specs, and more. To see how they stack up, see our list of the best wireless headphones. We consider these fairly bright buds, meaning that they tend to accentuate the high-end. This often distracts from the midrange, which is where a large portion of instruments and vocals sit. The AirPods do a great job at handling mid-heavy songs, but you may notice that your ears are more focussed on higher frequencies, like stringed instruments and snares. This isn't necessarily a problem for many genres of music, but is definitely something to keep in mind when making your playlists. And this is something we also experienced with other wireless earbuds - like the B&O BeoPlay E8s, which boosted high frequencies while in their active noise-canceling mode. These are in no way accurate earbuds. Their sole purpose is to serve and act as hands-free, convenient, truly wireless technology. Unfortunately, not a single company - at least, not that we've heard of - has managed to nail both sound and usability in wireless earbuds simultaneously. The closest, at the moment, is Bose with their SoundSport Free. They feature the signature rounded Bose sound, but are also much bulkier and weigh multiple times that of the AirPods. They're also $40 more expensive. Let's talk bass, because the low-end of the AirPods is particularly unimpressive. If you're a fan of bass-heavy tracks or genres, these buds just aren't going to get the job done. For comparison, we consider the Google Pixel Buds to have much better bass. While they aren't considered 'truly wireless', in the sense of having no wires at all, and cost the same as the AirPods at $159. However, the low-end of the AirPods is definitely present, much more so than the original Apple EarPods, and you can successfully listen to a vast majority of genres on them. Just be wary if you're used to jamming out to pumping tunes - you won't get that here. What kills us is that there are plenty of other earbuds - wired and wireless - that cost the same, and will give you much better bass. The Shinola Canfield In-Ears (full review here) - which are our favorite wired earbuds - can really drive the low-end, and cost roughly $35 more than the AirPods. In summary: the AirPods' sound is good, but not mind-blowing, world-beating, or indeed any other overzealous term we use to describe our top gear. The sound here is perfectly adequate, but that's all. That being said: considering the amount of technology crammed into such a small space, expecting the AirPods to have stellar sound is...well, a little unfair. That's a similar argument to the one we made recently when we reviewed the Google Home. 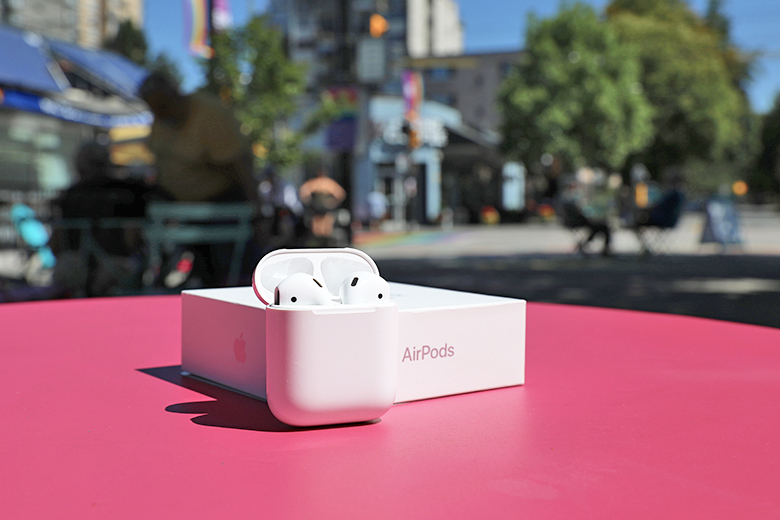 So here's a spoiler: despite our misgivings about the sound, we do love the AirPods. Begrudgingly and unexpectedly, but still. The AirPods can get loud if they have to. Not blow-your-eardrums loud - which you shouldn't want anyway - but loud enough to satisfy your daily needs. And although they don't have active noise-canceling, like other wireless headphones, they do a decent job of blocking out everyday sounds thanks to their in-ear placement, and dual-drivers. We don't know exactly how large the drivers are - Apple doesn't like to share information - but we can guess that they're between 6 and 10mm, considering the size of the AirPods themselves. Keep in mind that their size definitely has an effect on their power overall, and despite having multiple drivers in each bud, they still can't seem to reach the heights of other wireless headphones. If you're looking for something with a little more juice, we'd recommend the Beats by Dre Powerbeats3. Those are a little more expensive than the $160 AirPods, at $200. Like most earbuds, the Apple AirPods have a built-in microphone. What sets them apart, however, is that they actually have two. 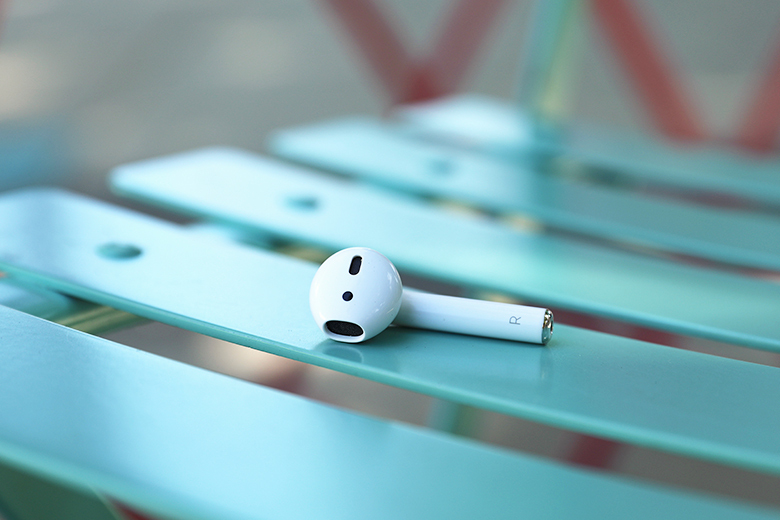 Each AirPod has its own dedicated microphone, which can be adjusted in the settings to automatically use both channels, the left channel, or the right channel, during voice-commands and calls. This feature is something we haven't seen before, but using one bud at a time was a revelation. This makes swapping AirPods seamless and efficient - something we think of highly, here on this site. Efficiency is key, and Apple has nailed this feature. We were pleased to not have to always have an earbud in our right ear, as we do with so many others that we've tested, given that the in-line microphone is usually attached to the right channel. As for quality, we did notice a decent improvement with mic quality when using both the left and right channel. When using one AirPod at a time, however, those we were calling to would often point out that we were much quieter than when using both. Another alternative to the AirPods, to save you the trouble of lowered call quality, are the Beats by Dre BeatsX wireless earbuds. Like the Pixel buds, they aren't truly wireless, with a connecting wire in the middle, but they are made of durable nickel titanium alloy and have a powerful in-line microphone. They are also $10 cheaper than the AirPods, and pair perfectly with iPhones. The AirPods are lightweight, compact, and built like little toy cars. As in, a bunch of tiny parts put together inside a plastic shell. The casing, though a tad plasticky, is sturdy, and can even manage a solid drop or two. No, we didn't drop our test model, but we did drop our friend's AirPod in the street. Sorry! Luckily, there was no damage - not even from bouncing on the cement. The AirPods are built to last - and a good thing, too, otherwise you'd be replacing them non-stop. You will drop these. As mentioned, Apple doesn't like to provide information on what technology they put in their gear - either that, or they don't think anyone cares about audio tech specs. What we can tell you is that they are small. Each AirPod weighs 0.14oz, and the charging case itself is 1.34oz. This makes them the lightest wireless earbuds on the market - compare them to something like the Bose SoundSport Free, which can weigh up to 0.53oz per bud. This is a huge bonus for people who encounter fatigue after wearing earbuds for longer periods of time. You can easily leave these in all day without an issue, and we promise you will definitely forget to take them out at some point. The AirPods are compatible with any device that accepts 4.0 Bluetooth - but only iPhones can take advantage of proximity pairing. 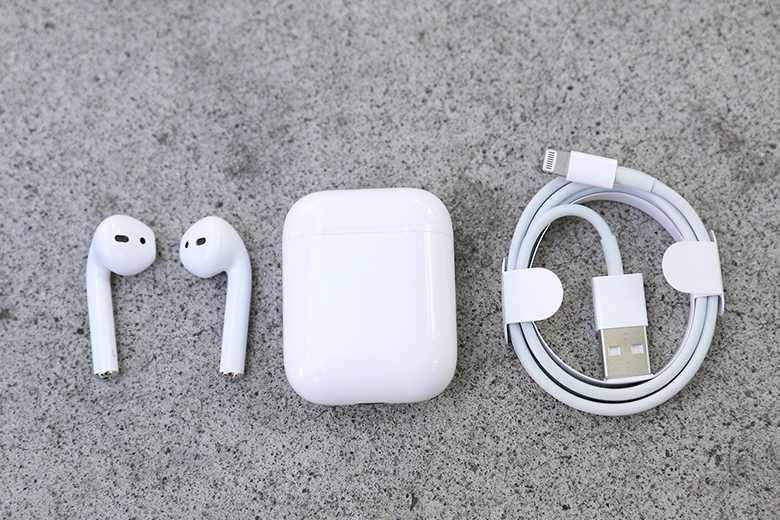 This is the AirPods' magical ability to connect to your phone without the touch of a button. Simply pull them out of the case near your phone, and they'll connect. It's the same simple process whether you're pairing for the first time, or using them daily. This feature alone makes them the easiest wireless earbuds to use on the face of the planet - and that's not an exaggeration. This means that even the most technically-challenged individual could operate the AirPods - no app, no settings (unless you want them), no hair-pulling or threatening to throw them into traffic. Finally, a piece of wireless gear that doesn't make us angry. However, proximity pairing does demand an Apple device. Sorry, Android users - these aren't for you. If you do want to ascend to the glorious, upper echelons of iPhone-land, feel free to join us. Otherwise, you're SOL. If you don't know what SOL means, well… Google it. The AirPods use a small sensor, located on the outer side of the buds, to detect when they've been removed from the case or your ear. This means that they also offer the same pause/play technology that many over-ear headphones incorporate - like the Bowers & Wilkins P7s (full review here) - which gives you the ability to pause your music by removing the bud or cup from your ear. This is an awesome feature if you need to hear something momentarily, or have a quick conversation. 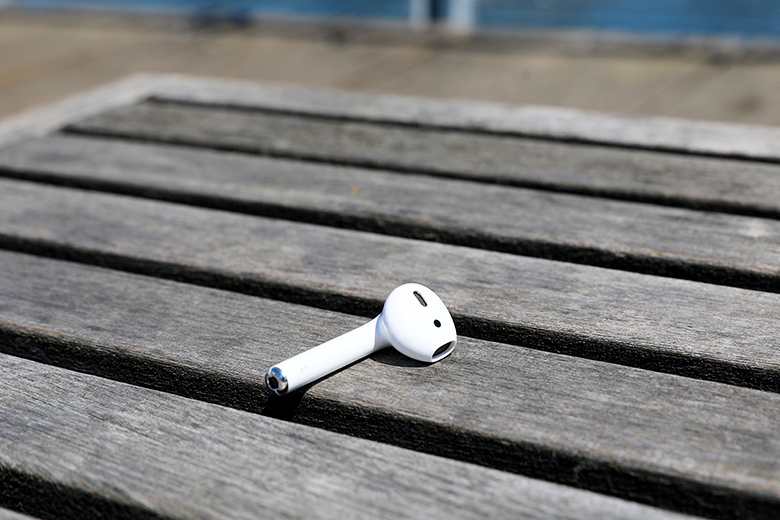 The music will begin playing again once the AirPod is back in your ear. It's a feature you didn't know you needed until now. No more digging around your pocket for your phone to press pause when the Starbucks barista asks you for your order. There's the option to turn this feature off in settings, but why would you want to? Another fantastic feature of the AirPods is their wireless connectivity. It's so strong that we actually forgot our phone in our apartment, walked up two flights of stairs and out the door before we lost signal. And, where many other wireless headphones and speakers failed in our testing environment, the AirPods came out on top. However, when put to the test of walking around the city, they had a bit of a hiccup. 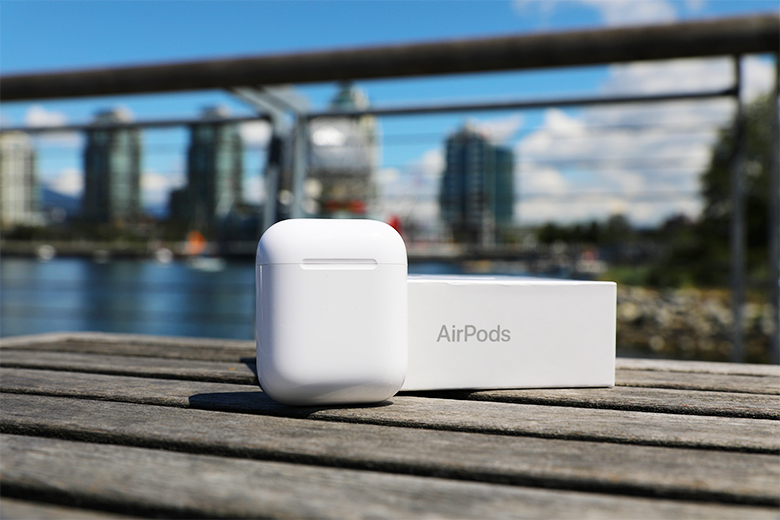 Despite their stellar Bluetooth connectivity, the AirPods aren't perfect, and can suffer in busy areas with tall buildings. We were able to replicate the issue with a few areas, but not all. To be fair, however, we did experience the same issue with other Bluetooth headphones. So, keyboard warriors, lower your weapons - we aren't faulting the AirPods for this one. And at least they aren't as bad as Bragi's The Dash, which we consider some of the worst wireless earbuds for connectivity. One further note: the AirPods lack a wired connection. They are truly wireless in every sense of the word, so there's no option to go wired if you encounter Bluetooth issues. 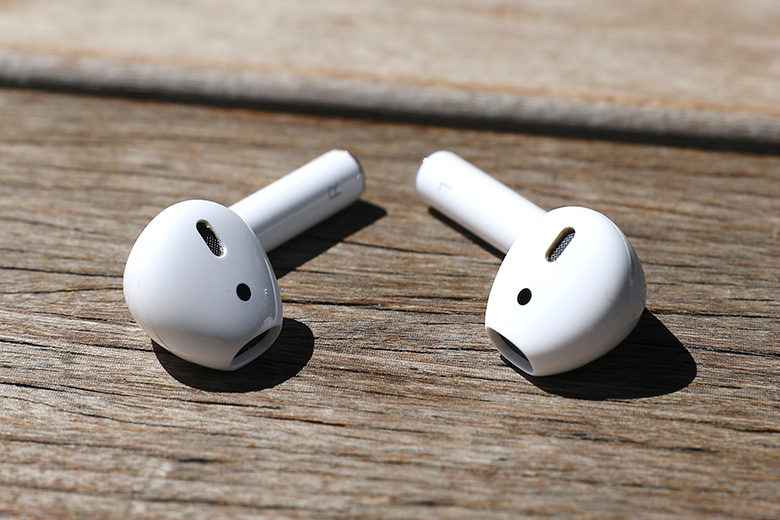 The AirPods are controlled by two touch settings on the outer side of the buds, which are easily activated with a quick double tap. The feature was was easy-to-use, and we didn't experience any issues, but we did notice that we had to double tap with a bit of force for it to register. The AirPods don't have an app, but that doesn't mean you can't customize your touch control settings. Each bud can be set to do one of the following options: activate Siri, play/pause, skip forward, skip backward, and turn off music. Like your iPhone, the AirPods have a 'Hey, Siri' function, which turns on Apple's virtual assistant. You can either activate Siri through voice command, or double tap the AirPod you've assigned. Both AirPods come set with Siri as the touch control, but this can either be changed, or removed entirely. Depends on how much you hate Siri and her nonsense. It's a useful feature for answering phone calls on the go, or sending quick texts, but don't expect Siri's usability to be any better than on your phone. You're still going to have the same pointless arguments about pronunciation and how to not call the wrong person. At least she's better than Amazon Alexa, which was recently integrated into the Jabra Elite 65t wireless earbuds. Apparently, she isn't up to par with listeners' expectations. The battery life on the AirPods is alright. But just alright. If you're someone who spends five-plus hours a day on the phone or listening to music, you're going to find yourself charging these a lot. The average call time for each earbud is roughly two hours. You can expect an extra hour or two with just music, but it varies. We couldn't get a set time for battery life, due to our consistent use of both music and phone calls. Fortunately, the portable charging case holds an additional five charges. Apple rates this at 24 hours, but again, this will vary per person. Fifteen minutes in the case will give your buds an additional three hours of listening time for music, but phone calls tend to drain the battery life quickly. We found it best to alternate between AirPods, using one at at time, to maintain a constant charge. The battery life is drastically less than that of over-ear wireless headphones - like the Sony WH-1000XM2, which can get up to 30 hours on a single charge - but fairly on-par with other in-ears. The Jabra Elite Sport earbuds (full review coming soon) only get nine-to-thirteen hours total, including their case charge. So, don't be disappointed when these die halfway through your day, and try to remember to charge the case every day or two. Although the AirPods seem sturdy - as we mentioned before, they can survive a decent tumble - they do have the potential to fail. We never experienced an issue with our own pair, but other listeners have. 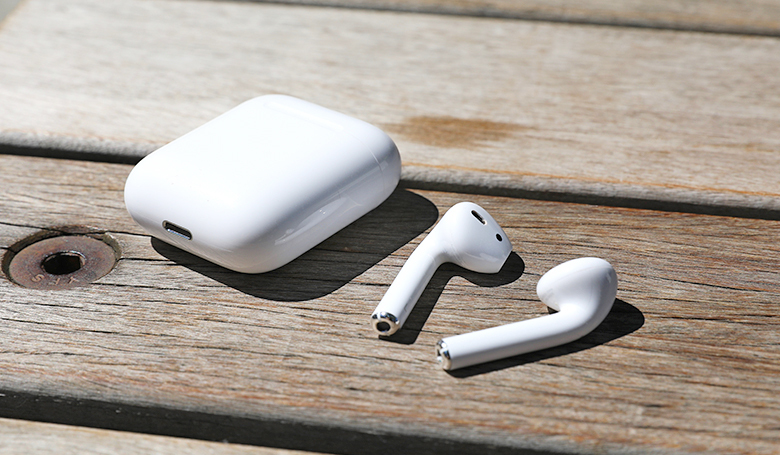 At random, and with no explanation, listeners have had one or both AirPods drop in overall volume level until they could no longer play music. It's outlined in this thread on Reddit; many of the users there have had to troubleshoot software issues, or even fully replace the affected bud. In addition, a friend of ours has had this happen to three different sets of AirPods. Fortunately, it's covered under warranty, and Apple will happily replace your bud for you when it inevitably dies - as they did for our stricken friend. All you have to do is put the new AirPod in your original case, and it will pair automatically. Yes, it's great that Apple is prepared to replace them at no cost, but it also makes us wonder why this issue is so prevalent. Be warned that, if you do buy a pair of AirPods, you might run the risk of having one or both replaced. As mentioned before, the AirPods are ridiculously light. Light enough that you can barely feel them resting in your ear. This makes them easy to wear for long periods of time, and you don't feel like something is intruding on your everyday activities. Apple really managed to nail this aspect of their buds, and it was a huge breath of fresh air after testing out some heavier pieces of gear - like the Canfields. The one complaint we do have is that there is absolutely no way to customize your fit - like you would be able to with something like the urBeats3 (full review here) which come with multiple sized eartips. So, if you have tight ear canals, or wide ones, you might struggle with these. We were lucky to get a good fit, but we can't guarantee everyone is going to have the same luck. Because of the lack of fit customization, most people won't be able to exercise with AirPods in. We see people jogging around with them in town, but due to their lightweight build and small stature, we can imagine them flying out at a moments notice. And, in case you didn't know, they aren't waterproof. Don't go treating these like your standard workout earbuds, and be careful if you decide to take a run along the water. The charging case is made from the same material as the AirPods, but has a nice weight to it. It's also magnetic, which ensures the buds won't fall out if jostled around. This was also one of our favorite parts of the ensemble, because the AirPods make a satisfying click sound when slotted into their spaces. You'll find yourself playing with this a lot. The case has a flip top lid to hold everything in place, and it can fit into the smallest of pockets. That's right, ladies: something that will fit in your jean pockets - if you actually own jeans with pockets. This compact design is a huge improvement in comparison to other wireless charging cases, like the B&O Beoplay E8s. Their case alone weighs 1.58oz, and is quite a bit larger than Apple's case. 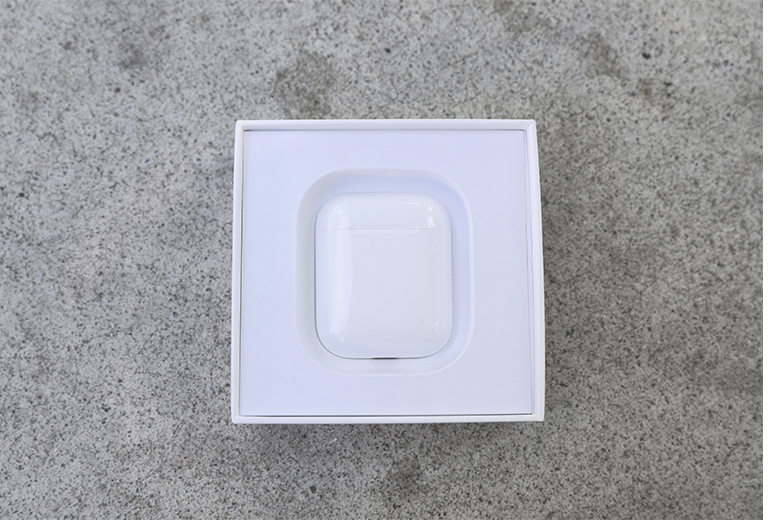 The AirPods' Lightning charging port is located on the bottom of the case, and has a sturdy connection. Other than the charging case, the packaging and accessories for the AirPods are like every other Apple product. 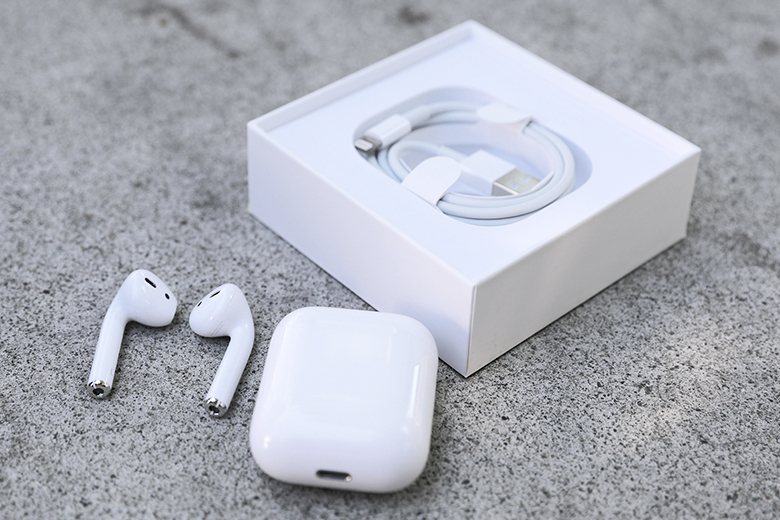 They come in a white box with a photo of the AirPods on the front. The top slides off to reveal the AirPods and case nestled in the center. Underneath them is the manual and the Lightning charging cable. This is what we expect from Apple, so no complaints. On a positive note: now you have another cable to charge your phone with. Because we all know your friends stole yours. The AirPods are 100% wireless - no cables, no buttons. 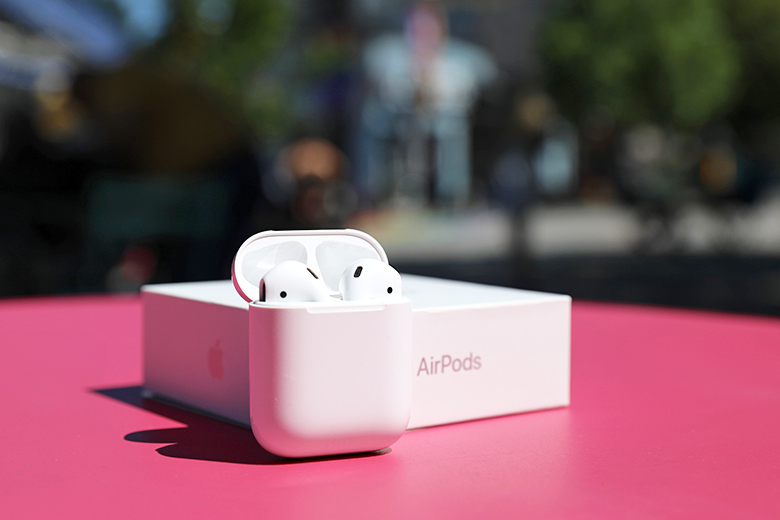 The AirPods are user-friendly, with intuitive technology, and stellar connectivity. They have a decent battery life with up to five full charges stored in the case. The AirPods have passable sound quality - a huge improvement from the EarPods, although not the best we've heard. The AirPods could have a better battery life, like many headphones that offer 20+ hours on a single charge. They aren't water resistant, like other wireless earbuds - making them less than ideal for physical activity. They are expensive for the sound quality, and we'd like to see an improvement in bass response in the future. The Pixel Buds were Google's response to Apple's AirPods. Much like the Google Home vs. Apple HomePod battle, these two products were created in a very similar way, and made for similar listeners. Those with iPhones will tend to lean towards AirPods, and those with Google phones or Androids might be more likely to go with the Pixel Buds. The big difference is that the AirPods are truly wireless, whereas the Pixel Buds are not: they have a wire that connects the left and right channel. Because of this, they are a tad bulkier, and not as discrete as the AirPods. The Pixel Buds come with a wireless charging case that can store multiple charges. Google rates them at five hours per charge, and roughly 24 hours total charge with the case - similar to the AirPods. As for sound quality, the Pixel Buds are known to have a more prominent low-end - which, unfortunately, also causes muddy mids, although his may be due to having a tighter fit. 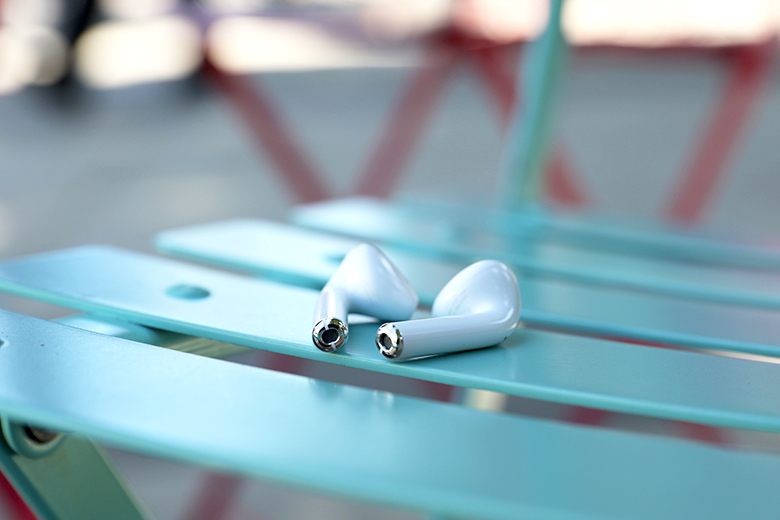 It's something the AirPods can't offer for everyone, due to their narrow shape, and some listeners might miss out on the details that escape the buds. The Pixel Buds include Google Assistant in comparison to the AirPods' Siri, and have more touch controls. For convenience sake - like proximity pairing, intuitive controls, size, and Apple compatibility - we prefer the AirPods over the Pixel Buds. But we can see benefits to both. Fortunately, if you price is your concern, you'll be happy to know that both pairs cost the same at $159. The Bose SoundSport Free buds might not be the prettiest on the market, but they certainly rank highly on our list of wireless headphones based on their sound quality alone. Out of all the earbuds we have tested, the SoundSport Frees are by far the best for listening purposes. They have a wide, open soundstage, punchy but not overpowering bass with no distortion, a crisp and clear midrange, and great volume. They're also loud enough that you'll never find yourself cranking them to max. The only complaint we have with the sound is lack of clarity in the highs, but everything else is spot-on. The SoundSport Frees are water resistant, and do have considerably better features than the AirPods. 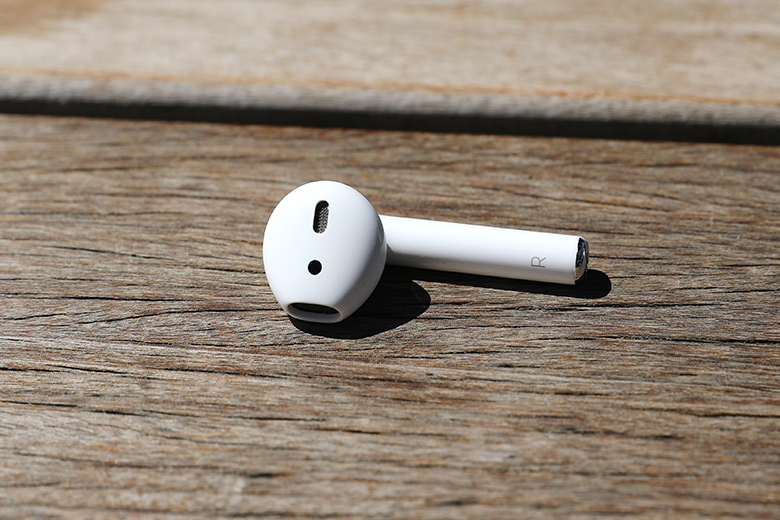 Although, they do tend to stick farther out of the ear, making you look like some weird alien creature - at least the AirPods just look like Q-Tips! Because they aren't completely secured in the ear canal, there can be some sound leakage at higher volumes, but we haven't had any complaints about them falling out during physical activity, and the microphone isolation is great. There's also a Find My Buds feature in the Bose app, that lets you locate your earbuds in the event that they do go missing. Unless you're really attached to Apple's proximity pairing, and don't want to deal with the added weight, we'd struggle not to recommend paying the additional $40 for the Bose. The Jabra Elite Sport wireless earbuds are definitely geared towards the active crowd. They are specifically designed to withstand physical activity, meaning they can handle quite a bit of strain. They're durable and waterproof (up to three feet for 30 minutes) which means you can sweat all over them, take a shallow dunk in the pool, or even wear them in shower. That, plus some clever noise-canceling, and ambient filtering during calls, make these a winner. The battery life on these earbuds varies, and depends on what you're doing with them. 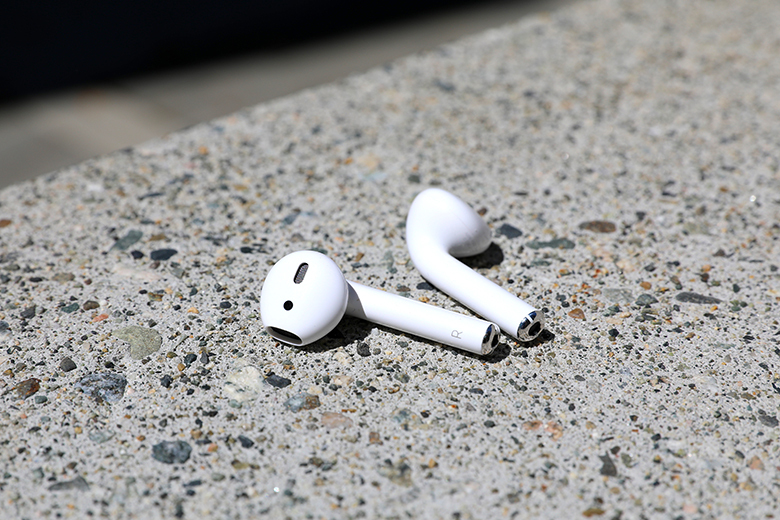 Including the two charges stored in the case, some listeners have gotten anywhere from nine-to-thirteen hours: don't plan on these lasting nearly as long as the AirPods. As for sound quality, the Elite Sports have a solid, impactful bass, but the midrange is a little uninspired, and the treble lacks sparkle. You might, however, prefer that over the boosted treble of the AirPods. Be sure to try out the multitude of eartips that come with the Elite Sports until you find the right one. The Jabras are listed at $199, making them just $40 more the the AirPods. If you're planning on jogging this summer or taking a dip in the pool, get these instead. Apple doesn't make another wireless earbud - though there are rumours of over-ear headphones in the works. But they do make the most commonly-used headphone on the planet: the EarPods. Ninety-nine percent of the white cables you see dangling from people's faces are Apple EarPods. They come standard with every iPhone, iPod, etc, and they are pretty much the trashiest of trendy headphones. These are what you wear when you don't care about damaging them or having to buy new ones. After all, they are only $29. You can throw these in your pocket, purse, or garbage bin any day. The sound quality is worse than the AirPods, but they do offer the superior in-line mic. Which is a sore loss for the AirPods considering they are so much better in every other sense. We would tell you to buy these, but you probably own four pairs and they're all lost in your kitchen junk drawer.